When parties are involved in a formal court case concerning their financial affairs following the breakdown of a relationship, the law requires that, in divorce proceedings (unless there are exceptional circumstances), it should come before a judge. The purpose of that hearing is for the judge to examine the papers, hear from the parties and if possible, give an indication of how the judge would resolve the case if it were being decided in court on that day. The reality, in practice, is that the courts are now so busy that it can take several months for such a hearing to be listed. Even when it is, the number of cases to be dealt with by the judge on that day is such that the judge often has insufficient time to devote to each case. It is certainly rare for there to be an opportunity for the judge to express a view as to a possible outcome and then for the parties then to undertake detailed, sometimes lengthy discussions, in the hope that later in the day a written, proposed settlement agreement can be presented to the judge. Regularly, parties leave court knowing only that nothing has been resolved on that day and that a final hearing of their dispute will be listed before another judge, again after a very considerable delay. This extended process inevitably gives rise to further stress and uncertainty for the parties. The starting point for the FRC consultants is that the parties have agreed to this procedure because they wish to work constructively towards a solution. 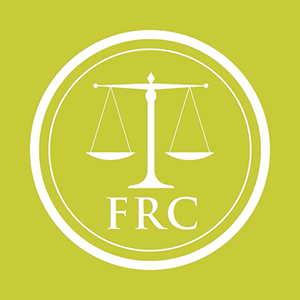 The aim of FRC consultants is to provide recommendations for fair and justifiable solutions to financial disputes which are independent of any outside influence. It is this which gives parties confidence in the FRC approach to problems. The consultants are not on the “side” of either party or their lawyers. Nevertheless, where applicable, the FRC will work with family solicitors and barristers; it is no part of the FRC to usurp the important role of lawyers when parties choose and are able to be represented. In fact, the FRC urges parties to take legal advice before matters are finally completed, although that is a decision is for each individual to make. It should be noted that FRC consultants are not able to make formal court orders or to draft the documentation to lead to an order. The FRC consultants provide independent recommendations as to how it is likely a case would be resolved if it goes to court. The parties are, by using the services of the FRC, obtaining a clear and independent view of a likely realistic settlement, based on the experience and expertise of the consultant. It is for the parties to decide, with legal advice if required, whether to accept the recommendations. It is at the PFRM meeting that, having considered the papers and discussed the case with the parties and their legal advisors (if applicable), the consultant endeavours to make a recommendation as to the likely outcome if the case were to go to court. (2) A consultant is appointed to the case. (3) The parties must sign an agreement to engage with the process and to act in good faith. (4) The fees of the consultant will be agreed and must be paid in full no later than 7 days before the date fixed for the PFRM. if possible, a statement of the issues which are preventing the parties reaching agreement (which might be included in the case summary – see above. (6) It is emphasised that full and honest financial disclosure of the financial position by both parties is an important part of the agreement that the case should be resolved in this way. If it is later discovered that one party has failed to make disclosure of important information which, if it had been known, would have affected the outcome of the case, then the other party would almost certainly be able to cancel the agreement and still take the case to court. (7) A date for the PFDM is arranged on a date convenient to both parties. (8) At the PFRM, the parties can be represented by a solicitor or barrister or can attend in person. It is an essential part of this service that the parties have plenty of time to negotiate. Up to a day can be made available, if required, far more than is usually allowed in court proceedings. (9) The PFDM will take place at a location agreed between the parties. It is preferable if that location is neutral to both parties. Three separate rooms are required: one for the PFDM with the consultant and two other rooms for private discussions by the parties with their advisors. N.B. The premises of Magdalen Chambers in Exeter, where suitable accommodation is available if required, at no additional expense to the parties. Alternatively, the PFRM can place at the offices of the solicitors to one of the parties or other suitable venue, if agreed by both parties. If outside accommodation is used, any expenses involved will be shared between the parties. (11) It is for the parties to determine the structure of the RFRM, led, if necessary, by guidance from the consultant. Typically, the PFRM usually begins with a meeting between the parties (and their legal representatives if present) and the consultant. The consultant sketches out a possible procedure for dealing with the issues. After that, the precise procedure and the time required at each stage, is dictated by the parties with the agreement of the consultant. As many private conversations between each party and their legal representative and negotiations between the two sides can take place as are necessary. (12) If agreement is reached, the parties or the lawyers, where applicable, draft a legal document setting out the terms. This agreement cannot be drafted by the consultant because it is important that each party has confidence that the consultant retains independence. In due course, preferably after the parties have each obtained legal advice, the agreement is sent to the court to obtain the approval of a judge (a procedure which is legally required to ensure that the agreement is binding and enforceable). (13) If no agreement is be reached, then at least the areas which remain undecided will almost certainly have been clarified and hopefully, narrowed. A further PFDM can be arranged if necessary – for example, after a point concerning disclosure has been addressed. The fees of the consultant are fixed in advance. The amount of the fees will depend on the case taking account of complexity, the volume of documentation and the estimated preparation time. The fees will usually be in the range of £800 – £2000 plus VAT (if applicable). Higher fees may be necessary in cases of exceptional complexity or length. Any incidental fees including the cost of accommodation (if applicable) and travel (if more than 10 miles from Exeter City Centre) will also be payable. The fees are shared equally between the parties and must be paid in full before the process starts. Each of the consultants has extensive experience of the financial issues arising on the breakdown of a relationship. This experience has arisen both from legal practice as a family lawyer and also as a judge. This latter experience enables the consultants to understand the issues which are likely to be regarded as relevant and important if a case were to go to court and to give an informed view of a likely outcome of the case. Paul spent many years practising as a solicitor, first in London and later in the Midlands. He specialised in family work from an early stage in his career and increasingly concentrated on cases involving financial disputes following the breakdown in relationships. Paul sat as a Judge for 24 years, originally as a Deputy and then full time for 16 years. Following his retirement from the Bench, Paul has lectured and written extensively on various legal topics, but particularly on family law and given in-house training to lawyers.